Comments: One of the more cold hardy palms. This clump forming species is used as a specimen, accent, and a tub planting. Old specimens normally form several basal trunks that are covered with old leaves unless removed to expose trunks. Will tolerate temperatures of around 15 degrees F. for short periods. Tolerate of light salt spray back of primary dunes or ocean front. Considerable seedling variation in foliage color. 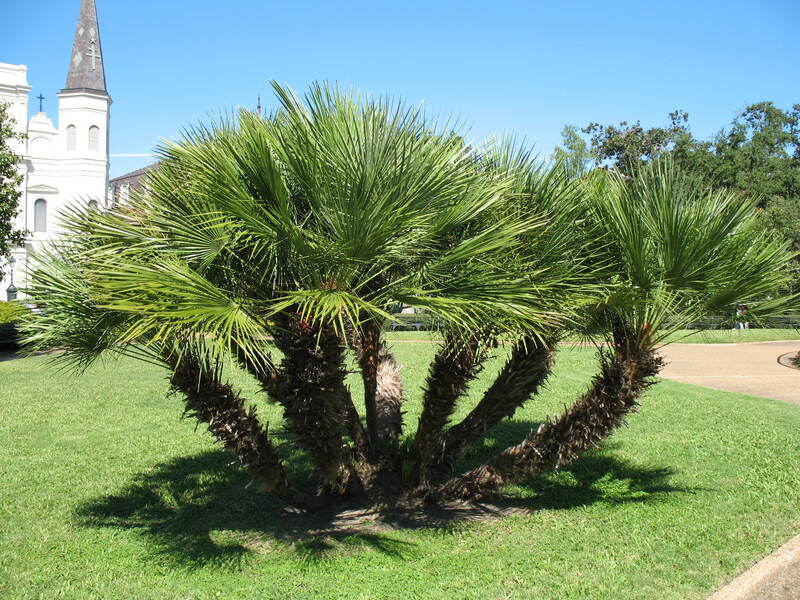 Palm is more shrublike for nearly ten years before it forms a major trunk.